This is a Cute Halloween Pumpkin Image! 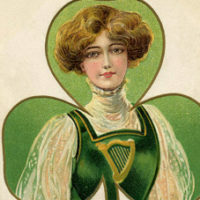 Shown above is a Vintage Postcard, Circa 1909 that was illustrated by Artist Ellen Clapsaddle. Such a fun card! 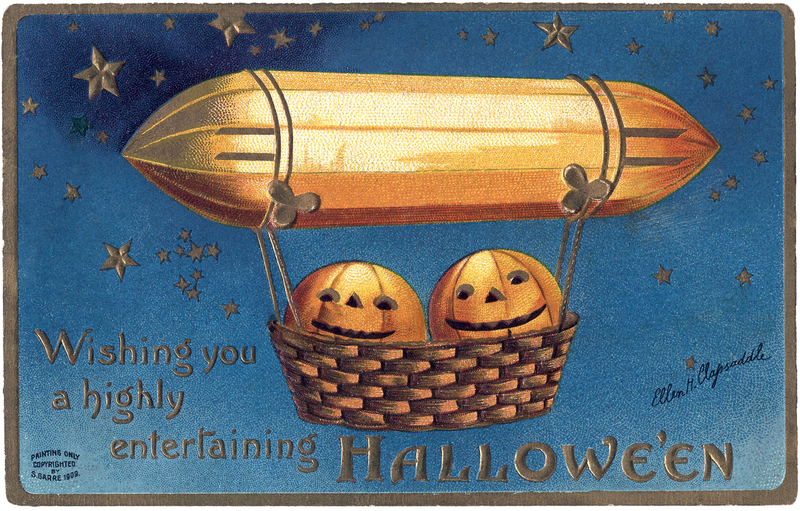 The image features two quirky looking Pumpkins, or Jack O Lanterns really, going for a ride in a Dirigible! You certainly don’t see that everyday! I love the colors on this one, the Midnight Blue sky with the Gold Stars makes for a nice contrast with the orange pumpkins. 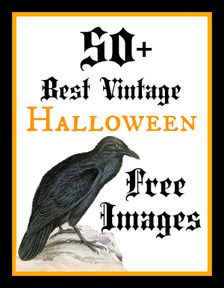 You might also like another Vintage Halloween Card by the same artist, you can find it Here. This is awesome! I am crazy about the fantasy postcards.